Road-tripping is hungry work, and after an early start of out Cape Town, northwards up the N7 to the Cederberg, we were ready to plunder roadside farmstalls. Citrusdal was our last stop before hitting the dirt roads. But, everyone in this conservative farming community goes to church on a Sunday, and those that don’t, can go without breakfast. We eventually stumbled upon a Boerekos pizzeria firing up its ovens, and polished off miiktart, Koeksisters, pizza and MoerKoffie before making our escape to the mountains. Waterfall Farm. As the name suggests, a beautiful river runs through the property, rushing over boulders into deep, secluded pools. The sweet scent of citrus permeated the air, as we drove down the farm track to our cottage. Waterfall farm produces export quality oranges, clementines and lemons. In Spring, the orchards are full of fruit, and wildflowers carpet the available space between the trees. 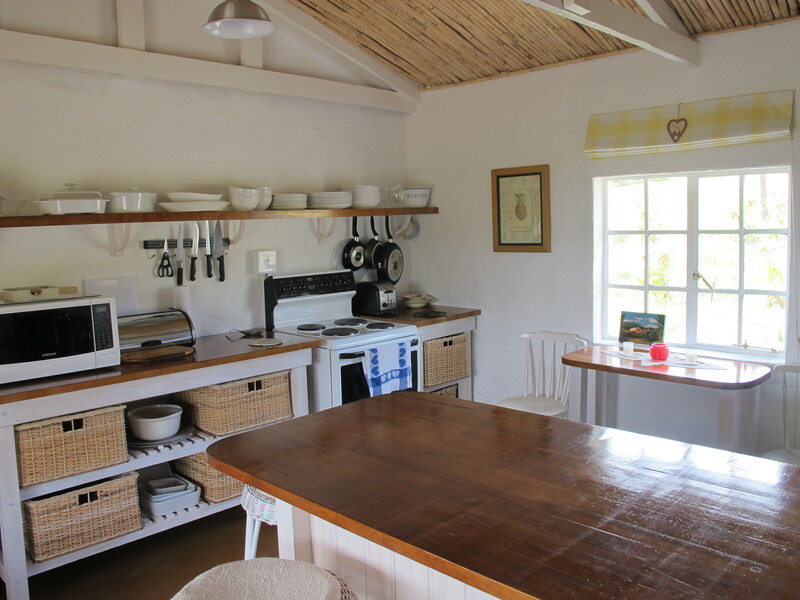 The accommodation on the farm is simple but tasteful – a large sociable house and nearby cottage for families and groups, and another simple two-bedroom cottage set away in the orchards. It was raining as we arrived, and we were warmly welcomed with a fire, Proteas and freshly-picked fruit. Sitting with coffee, listening to the rain drip off the trees and watching the mists swirl on the mountains as we dozed and read near the fire, was pure bliss. The rain stopped the next morning and we were greeted by a glistening landscape. The river was full, and the waterfalls were thundering and swirling. It was perfect.